This showcase delivers insight into your Skype for Business user experience, call and video quality, performance and user behavior. 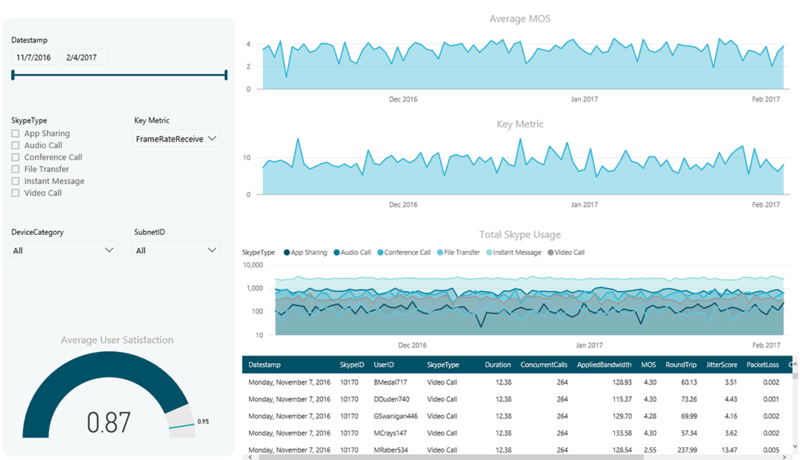 The Skype For Business PowerBI Report is designed to provide intuitive, self-service insights into an organisation’s Skype activities. Broadly, the report pages allow users to explore the following three questions: How much Skype activity is there? How well is the Skype network performing? How are people using the Skype For Business platform? 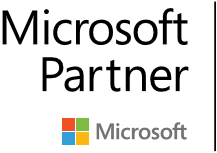 The KPI Summary page provides an overview of the performance of the Skype For Business service. At a glance, users can obtain a snapshot of typical performance KPIs (Mean Opinion Score, Round Trip, Packet Loss etc.). Fully-interactive visuals and supplemental controls are included to allow users to filter to a specific time period, type of communication, location or device. 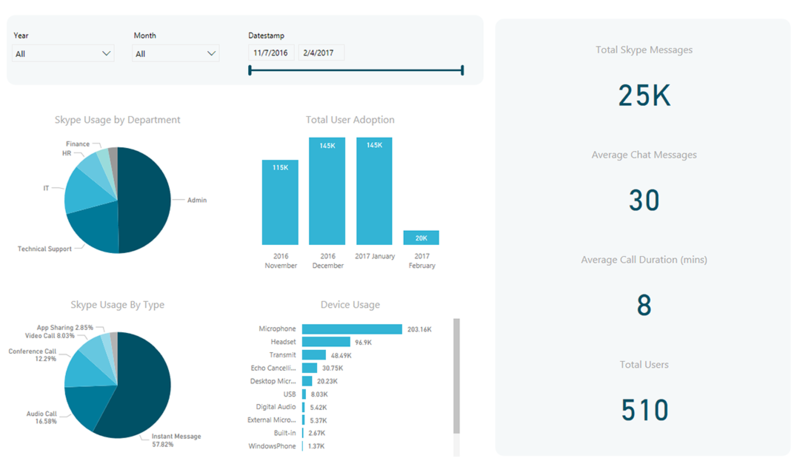 The Usage Summary page provides a snapshot of overall Skype For Business usage, including user adoption rates, departmental adoption rates, device usage and summary statistics. 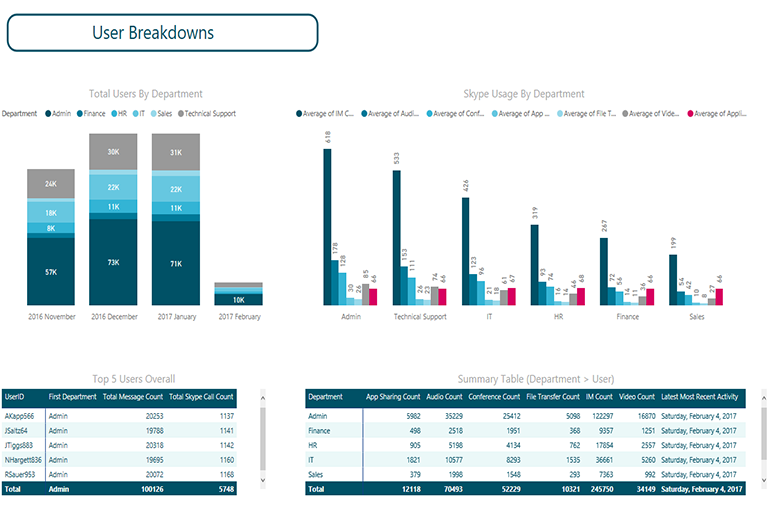 Similar to the KPI Summary page, interactive visuals and additional controls are provided to allow users to filter to specific areas of interest. The Users page provides a summary overview of Skype For Business users and their usage patterns. Specifically, the Users page displays total user adoption along with summary usage statistics by department. The two tables at the bottom of the page summarise the Top 5 Users and usage statistics for all users respectively. All visuals are interactive, such that selection of the Finance Department in any visualisation will simultaneously filter the other visualisations appropriately. The Performance page allows users to explore, compare and correlate total Skype For Business usage against network performance. The three timeline visualisations compare and correlate overall Mean Opinion Score (MOS) with a user-selected Skype metric (for example, Packet Loss or Round Trip time) and total Skype For Business volumes. Full Skype For Business call data is exposed in the log table at the bottom of the page. A series of selection controls provide users with the ability to filter to a specific time period, type of communication, location or device. Naturally, each Skype For Business environment will be subtly unique with specific KPIs and metrics that are of critical importance. Whilst the Skype For Business PowerBI report pages provide a rich and detailed overview, they are necessarily generalised. On the other hand, PowerBI dashboards provide a fully customisable and collaborative platform for reporting and self-service analytics. 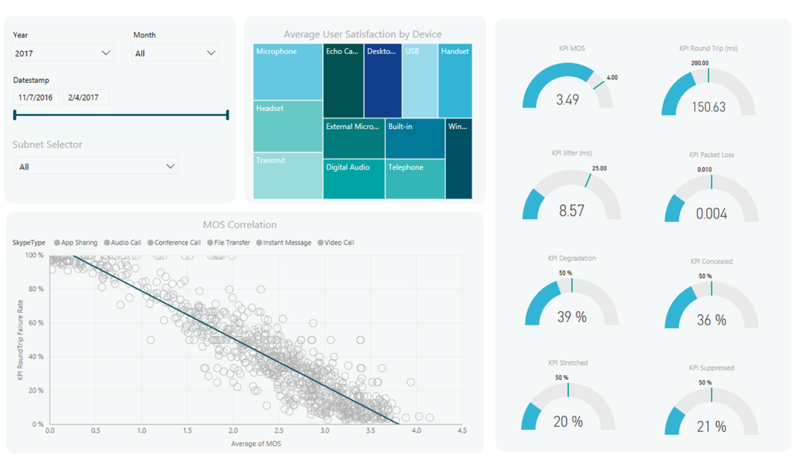 We envisage that the Skype For Business PowerBI Reports provide a sound base report and we are more than happy to work alongside clients to develop a customised PowerBI dashboard.